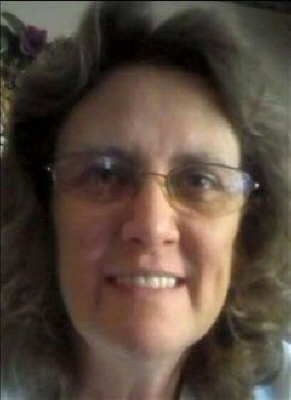 Tonya Denise Coats, age 59 of Altus, Oklahoma and formerly of Hobart, Oklahoma, passed away Thursday, March 28, 2019 at the St. Anthony Hospital in Oklahoma City. Tonya was born in Hobart, Oklahoma on December 7, 1959 to her parents Orville and Dorothy (Cox) Wilson. Growing up in southwest Oklahoma, the family lived in Lone Wolf, Roosevelt, Cooperton, and Hobart. Tonya graduated form Hobart High School and studied Early Childhood Education at Western Oklahoma States College in Altus. She married Bill Pritchard on July 7, 1979 and had one child Michelle and were married four years until Bill's death. On October 10, 1986 Tonya married James Coats at the Elm and Hudson Church of Christ in Altus with Reverend Bill Osborn presiding the wedding ceremonies. Tonya and James have enjoyed over 32 years of marriage together. Throughout the years Tonya worked at several businesses in the southwest Oklahoma area including; Big A Burger in Hobart, TG&Y, First National Bank of Altus, Kidland Express, Ready-Set-Go Playschool, at home daycare, the Tag office, Dollar General for over ten years, Goodwill, and she retired in 2014. She enjoyed being involved with her children's activities and was a Band Parent for many years and she was always an Altus Bulldog supporter. She enjoyed reading, cooking, watching Dr. Pol, listening to music, and Tonya was an avid Oklahoma City Thunder fan. Tonya was proud of her community where she enjoyed supporting community activities when she could. Tonya never met a stranger and she treated everyone she met like family. Tonya loved her family, her husband, children, grandchildren, and her extended family members and she treasured spending time with them any time she could. Preceded in death by her parents; and her first husband, Bill Pritchard of Hobart; Tonya is survived by her husband, James Coats of the home; three children, Michelle Pitt and husband John of Bethany, Oklahoma; Katie Coats of Weatherford, Oklahoma; and Tracie Lee and husband Shane of Weatherford, Oklahoma; two brothers, Rodney Richey of Colorado; and Jerry Wilson of Hobart, Oklahoma; five grandchildren, Wyatt and Morgan Pitt; Lana, Lauryn, and Luccas Barrett all of Oklahoma City; her longtime family friends, Robert Hernandez, Rosalyn Hall, Valerie Hunter, Anna Antonelli, Keri Nash, and Terry Downs; as well as several brothers and sisters-in-law, nieces and nephews, cousins, other family members, and many friends. The family will greet friends at visitation from 6:00 pm until 8:00 pm, Monday, April 1, 2019 at Lowell-Tims Funeral Home in Altus, Oklahoma. Funeral services will be at 2:00 pm on Tuesday, April 2, 2019 at the Lowell-Tims Funeral Chapel in Altus, Oklahoma with burial following at the Altus City Cemetery. Lowell-Tims will provide a live web-cast of the service beginning at 1:58 p.m. Wednesday. Go to www.Lowell-Tims.com and click on Tonya Denise Coats. There will be a blue tab that says "watch webcast" inviting you to join the web-cast. Funeral arrangements under the direction of Lowell-Tims Funeral Home and Crematory, Altus, Oklahoma. To send flowers or a remembrance gift to the family of Tonya Denise Coats, please visit our Tribute Store. "Email Address" would like to share the life celebration of Tonya Denise Coats. Click on the "link" to go to share a favorite memory or leave a condolence message for the family.